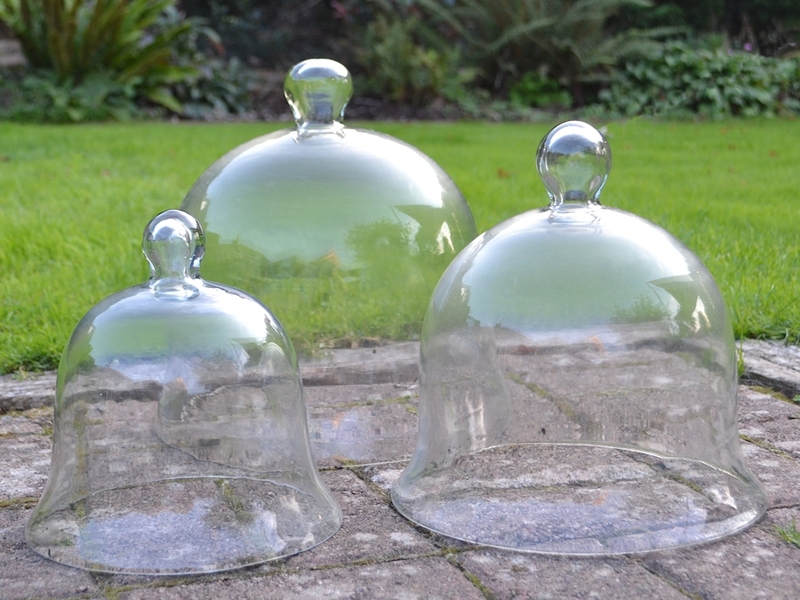 Set of 3 Victorian glass bell jar cloches. 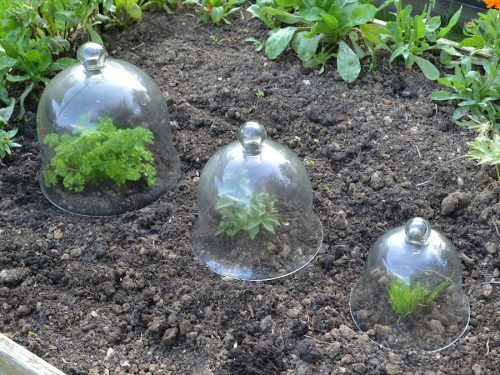 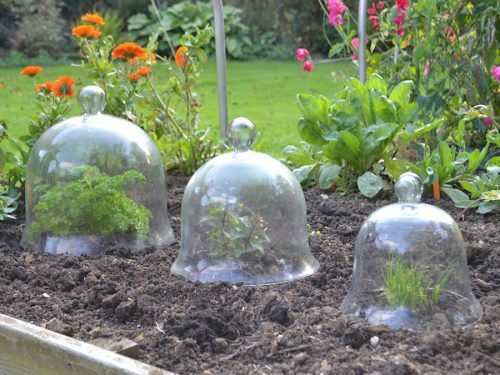 A faithful reproduction of the original victorian glass bell jar cloches. Set consists of small, medium and large glass cloche. 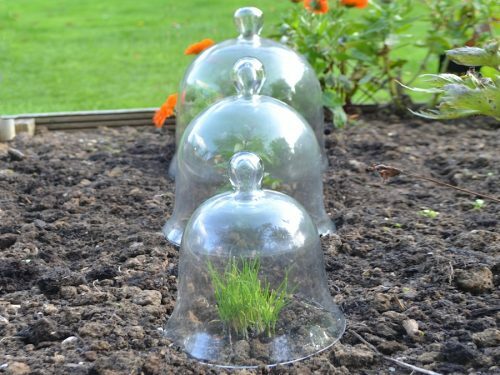 Manufactured from real glass, the Victorian glass bell jar cloches are hand-blown for authenticity. 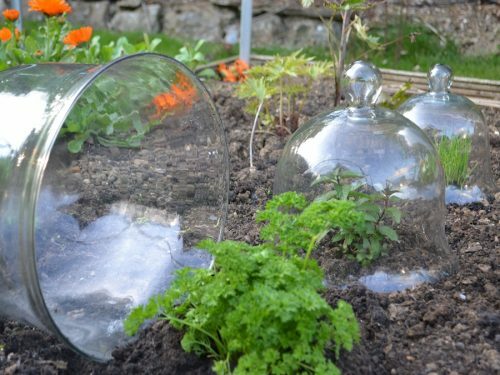 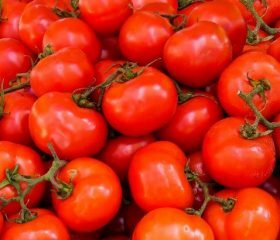 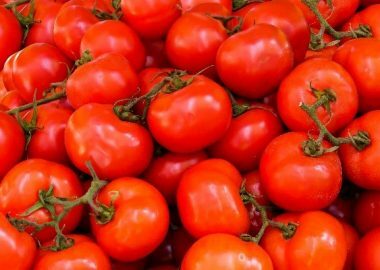 The weight of the glass ensures that the cloches will not blow away in stormy conditions and, unlike plastic, glass will trap the warmth of the sun in early Spring, boosting growth. In warmer weather use a small piece of wood to provide a ventilation gap at the bottom. 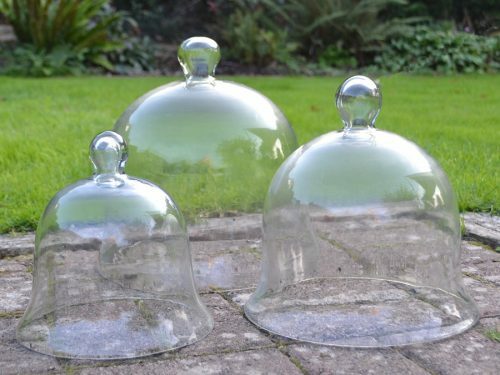 Set of 3 consists of: Small glass bell cloche: 8″ (20cm) diameter Medium glass bell cloche: 10″ (25cm) diameter Large glass bell cloche: 12″ (30cm) diameter.